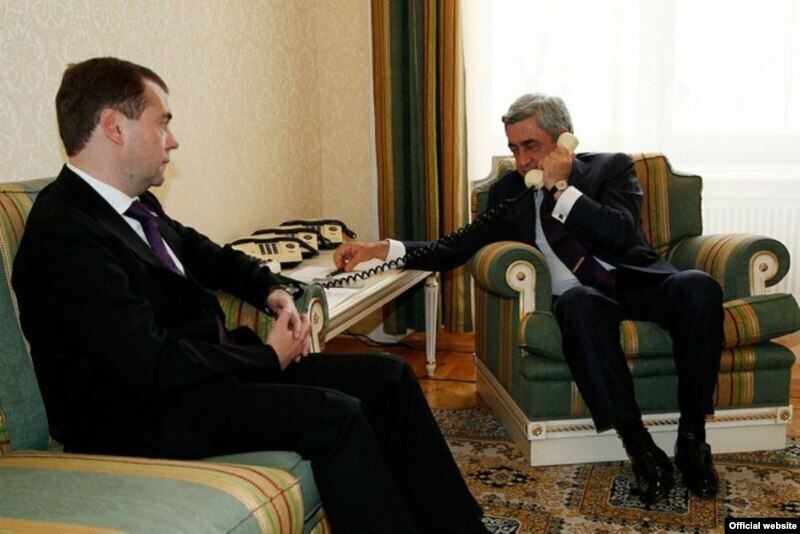 President Serzh Sarkisian reaffirmed Armenia’s readiness to send rescuers to earthquake-stricken Turkey on Monday as he and Russia’s President Dmitry Medvedev jointly spoke to their Turkish counterpart Abdullah Gul by phone during talks in Moscow. The 7.2 magnitude earthquake struck the southeastern Turkish city of Van and surrounding areas on Sunday afternoon, killing at least 239 people and wounding more than 1,000 others. With the epicenter of the quake located only 150 kilometers south of the Turkish-Armenian border, strong and unusually long tremors were also felt in much of Armenia and Yerevan in particular. ​​They triggered panic in the Armenian capital where thousands of people left their homes and spent hours in courtyards and streets. No casualties or devastation were reported by the Armenian authorities. Sarkisian was quick to send a letter of condolences to Gul. He said an Armenian rescue team is ready to swiftly fly to the disaster zone and join the search and rescue effort. Sarkisian reiterated the offer during a state visit to Russia the next day. According to his press office, the Armenian and Russian presidents made a joint phone call to Gul and expressed “sincere condolences and support” during their talks held in the Kremlin. Speaking at an emergency session of his cabinet earlier on Monday, Turkish Prime Minister Recep Tayyip Erdogan, thanked foreign nations offering help, including Armenia and Israel, which both have strained relations with Ankara. According to Reuters news agency, Erdogan said Turkey can cope with the disaster by itself.